Extractives and interlinked industries are expecting a boom in Mozambique. This could be good news for the country’s economy, in theory. But can extractives really work as a driver to diversify the Mozambican economy? It is unlikely that the extractives sector can any time soon be used to finance visionary transformation strategies aimed at achieving economic diversification. Due to the country’s fiscal situation and delays in developing the offshore natural gas sector, it seems that extractives will not provide additional revenues for at least another decade, if not longer. If the fiscal crisis results in the further deterioration of the provision of public goods and services, the business environment will become worse for the country’s micro, small and medium-sized enterprises. There is the risk that the gap will widen even further between the skills and entrepreneurial capabilities available in the country, and those required by foreign investment projects and their supply chains. Such a prospect does not match well with the expectations that local content policies can provide the silver bullet for diversifying the economy. 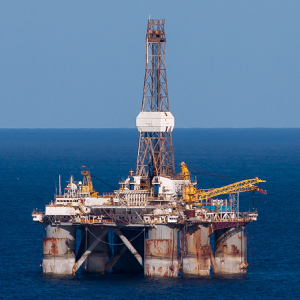 Since 2010 Mozambique has made international headlines because of its large offshore natural gas finds. The country has also large untapped reserves of other extractive and non-extractive resources, and it could gain from rising demand in minerals required for the global transition to a low-carbon economy. The development of extractive industries is expected to contribute to economic diversification and social development of Mozambique, not least by increasing the demand for locally produced goods and services and providing jobs for local people. However, the prospects for these expectations to materialise seem rather remote. 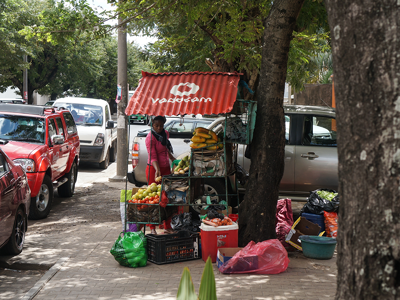 Mozambique’s formal economy is very small, rural based, and dominated by micro-entrepreneurship. The expectation has been that revenues from the extractives could provide resources to invest in policies that would nurture more diverse private sector development. However, the most recent economic outlook does not give high hopes for this to happen. Premature and undisclosed borrowing in anticipation of revenues from the gas sector has contributed to the country now facing a serious fiscal crisis. Commencing the construction of the proposed export-oriented natural gas projects has also been postponed several times. It seems very likely that there will be no significant additional revenues flowing from the offshore gas fields before the second half of the 2020s. If and when these revenues start to flow, they are poised to be earmarked for debt-reduction for several years into the 2030s. Diversifying through local content policies? Local content policies are one suggested way to help ensure the sector contributes to diversifying the economy and benefit Mozambicans. Several countries in the region have resorted to mandatory stipulations on local procurement, employment and/or ownership to achieve linking local business with the extractive industries. In late 2014, the Mozambique government started drafting a sector-specific Local Content Bill to provide a legal and regulatory framework for the participation of local businesses and citizens in extractive industry projects. The bill has not been finalized, as domestic stakeholders hold different positions on the subject. One position promotes the development of local value chains. While another position would like the extractives industries to be obliged to meet mandatory targets on Mozambican co-ownership of locally registered foreign suppliers. Whichever position Mozambique decides to take, banking on local content to diversify the economy poses a challenging prospect. Direct participation in the industry’s supply chains requires meeting high industry standards, not least because the sector has very low tolerance for late and below-standard delivery. In Mozambique the gap between the inputs that the extractive sector requires and what the local economy is able to provide is particularly wide. Thus, there is a risk of over-promising on what local content policies can deliver. In addition, the business environment will worsen further if the provision of public goods and services deteriorates from its already low level because of the fiscal crisis. This will undermine investments in human and other forms of domestic capital, which is what Mozambique desperately needs. There is the risk that the gap will widen even further between the skills and entrepreneurial capabilities available in the country and those required by foreign investment projects and their supply chains. Such a prospect does not match well with the expectations that local content policies can provide the solution for diversifying the economy. In summary, the prospects are challenging for the extractives sector and associated local procurement and employment to contribute significantly to the economic diversification of the country. It is evident that improving the lives of ordinary Mozambicans will require much more than a booming natural resources sector. The authorities should look for improvements in the institutional arrangements that underpin the country’s poor business environment and undermine the development of domestic enterprises. Extractive industries have to ‘up their game’ in terms of the efforts they put into linking up their investments with the domestic economy. With no additional revenues expected from the extractive resource sector in the near-term, the onus lies on improving the business environment for the small-scale domestic private sector to build human and other forms of domestic capital supporting broader and rural-focused private sector development. It is not enough to expect that local content policies will provide a silver bullet for economic diversification. This Research Brief, also available in Portuguese (disponível em Português), is based on the WIDER Working Paper 'What are the prospects for Mozambique to diversify its economy on the back of ‘local content’? ', by Evelyn Dietsche and Ana Maria Esteves. The study has been prepared within the UNU-WIDER project on Natural resources, structural change, and industrial development in Africa as part of a larger UNU-WIDER research project on Jobs, poverty, and structural change in Africa; and also within the programme Inclusive growth in Mozambique—scaling up research and capacity. Working Paper | What are the prospects for Mozambique to diversify its economy on the back of ‘local content’?